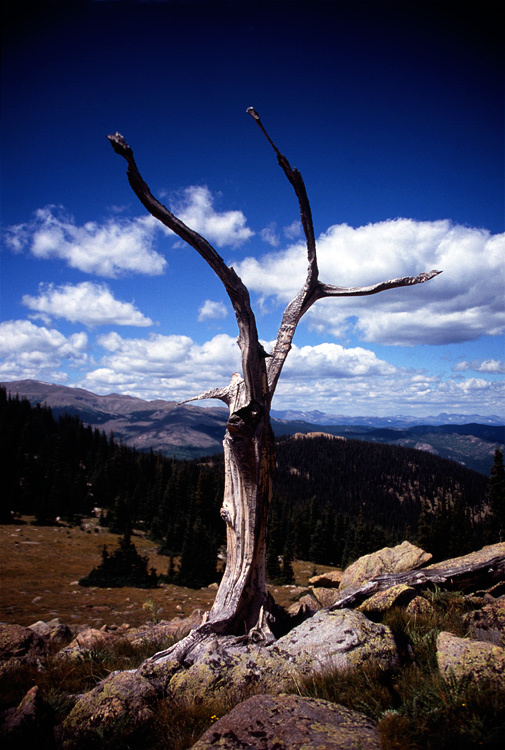 An ancient Bristle Cone Pine, sitting at tree line in Mount Evans Wilderness. Fantastic capture of this ancient pine, standing sentinel over it's surroundings. Love the depth. Great sky colors. Great image from a pile of rocks and dead tree. Good composition and great colours of the sky! Gorgeous! Love the colors, so rich and vibrant against the dying tree. excellent tones in the sky. With a view like that, I could stand there all day. Nice shot, Will. Such a stunning and parched tree. It makes quite a contrast against the gorgeous blue sky. that's a gorgeous view…and a terrific shot. It's a terrific picture… I feel a pain.